July 13, 2012 0 comments on "Men’s Health"
When it comes to preventing disease, eating right and a healthy lifestyle are your strongest line of defense. This infographic from the Academy of Nutrition and Dietetics highlights how men can eat right and engage in physical activity to prevent or manage diseases and serious health complications. 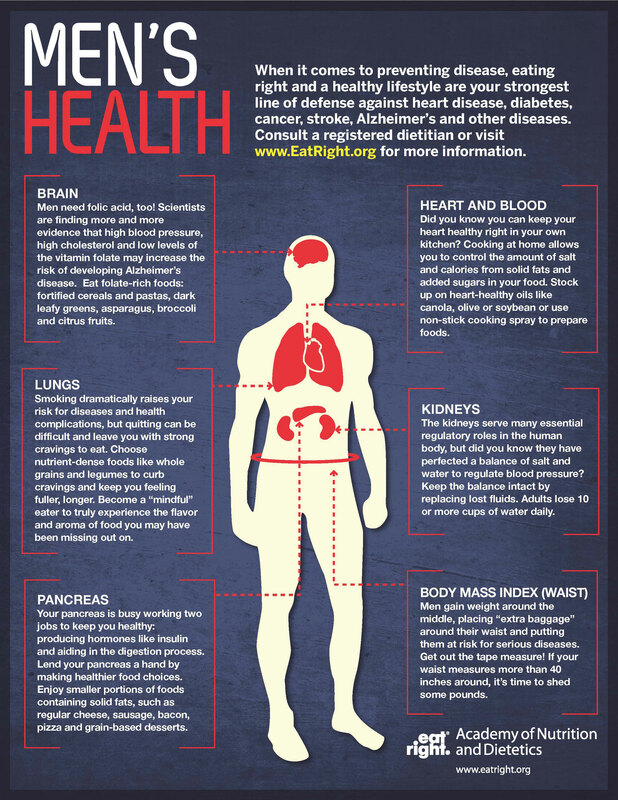 For more information on leading a healthier lifestyle, visit www.eatright.org.